The new NU Events app, introduced by Residential Services this month, updates new students on activities happening around campus and in their residences during Wildcat Welcome. It is free and available for download for iPhones and iPads. This year’s Wildcat Welcome features a new smartphone app called NU Events that serves as a guide to campus-wide and residence-specific events for new students. Powered by a program called Guidebook, the app contains campus maps, orientation scheduling and miscellaneous information such as laundry services and how to set up the new Xfinity on Campus cable program. It also includes Wildcat Welcome content from University social media profiles, and a shared photo album allows users to view and upload snapshots of their first days in college. 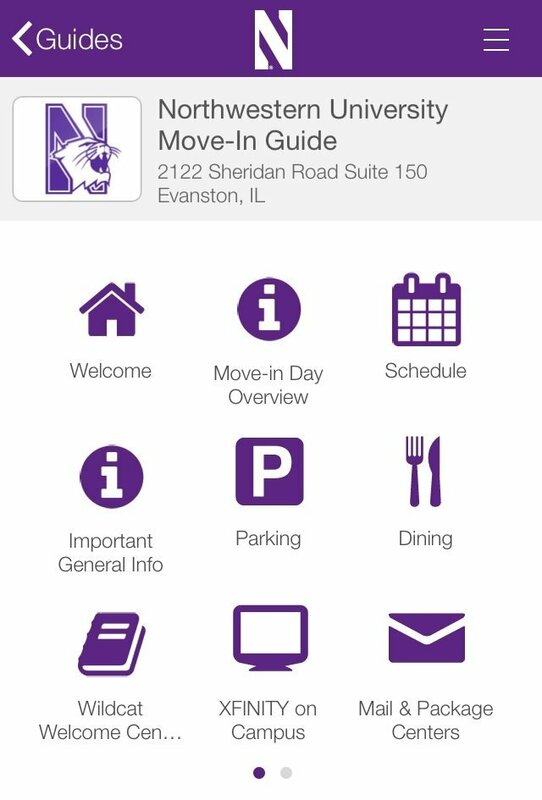 Residential Services made the free app available for download on iPhones and iPads on Sept. 9. The Wildcat Welcome schedule that freshmen received instructed them to download the app if they had a smartphone. The app has a personalized calendar with event locations and sends users push notifications about events in their PA groups or residences. Residential Services also introduced a new initiative to add more residence hall-centered programming for Wildcat Welcome. Bradley Zakarin, the Director of Residential Academic Initiatives, said he coordinated with New Student and Family Programs to secure time for residence halls and residential colleges to hold their own activities for freshmen. Zakarin said because “the individual buildings have their own identities,” events were up to the discretion of the residence hall or residential college executives and could range from barbecues to open-house meet and greets with the faculty-in-residence. Correction: A previous version of this story contained incorrect information about the Diversity and Inclusion ENU. The Daily regrets the errors.